When kids have a hand in making, growing, choosing, planning or even tasting their food, they are way more likely to eat it. Kelly Montoya knows this secret well. 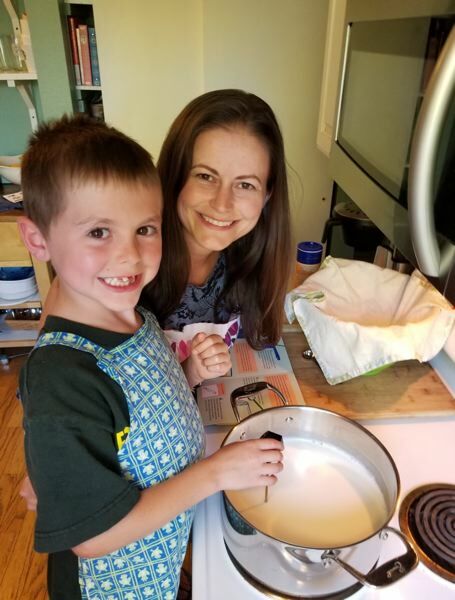 The Portland mom has been working with her 10-year-old daughter, Bryce, to create recipes and hone kitchen techniques for kids to follow — everything from making cheese and yogurt to canning and preserving. This summer, Montoya, the former Portland Monthly publisher with ties to the New York City culinary scene, is taking her passion to the masses with the launch of an experiential media company, whose first product launch is a monthly themed subscription box for foodie kids called Little Sous. 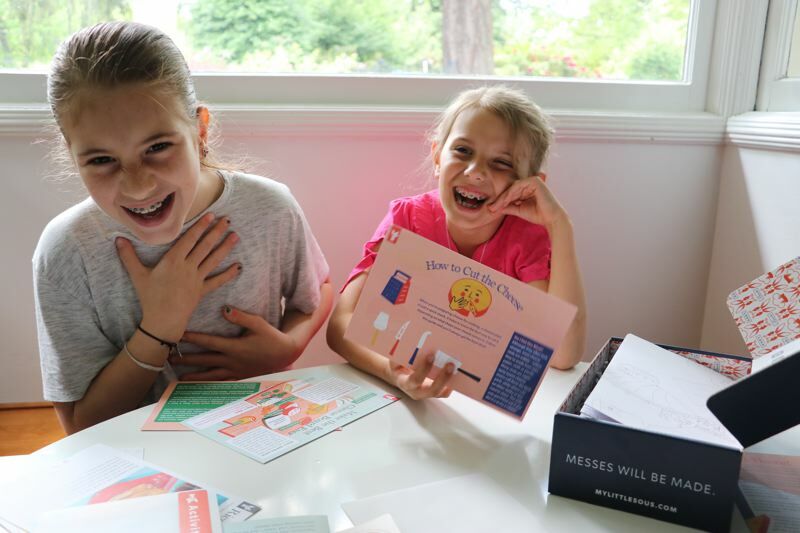 Designed for school-age children, the box (priced at $25) comes with a kitchen tool (such as a cheese slicer), stickers and activities, a fun recipe and simple instructions for a cool technique each month for kids and grownups to learn together. "Kids are more capable and sophisticated than we're giving them credit for," says Montoya, a former publisher of Portland Monthly and Sagacity Media. "They're digital natives. They know more about food than we did at their age; they have higher expectations. The kid-friendly food scene has some catching up to do." The first month's box, August, is focused on cheese-making and sampling. Our friends were impressed with the quick-and-easy lesson for making homemade ricotta and whey. In September, the theme is "Eat the rainbow," spotlighting various harvest veggies and looking at why foods are different colors, including a recipe for rainbow yogurt and a how-to for creating natural food dyes from dried ingredients. "My daughter is especially excited that there's a unicorn reference," Montoya says. October's theme is "It's alive!" and is focused on fermenting and the roles that living organisms like yeast and probiotics play in our diets. Montoya co-founded the company with fellow media guru Nick Fauchald — a father of one as well as the former editor-in-chief of Tastingtable.com, co-founder of a series of single-ingredient food publications called "Short Stack," a magazine editor and cookbook author. Little Sous joins a handful of kid-focused food subscription boxes, fueled in large part by the wave of junior baking TV shows and ever-present foodie-type media. But Montoya has much bigger plans than just the monthly box. She's already started to work with top Portland chefs to help elevate the local and national conversation about inspiring the next generation of cooks, starting with the way we approach children's menus at restaurants — which most often consist of uninspired versions of three main staples: chicken tenders, mac n' cheese and pepperoni pizza. Why don't kids' menus adapt the same fresh, seasonal ethos that we have come to expect from Portland's food scene? Why can't they include bold flavors to help instill an appreciation of world cultures, while at the same time being nutritious, fun and kid-friendly? Montoya is ready to tackle it. "I'm excited to help busy families who are under a lot of pressure find easy ways to connect with their kids in an activity they're already engaging in, which is mealtime" she says. "Also we want to help kids connect with who they are as individuals through an understanding of their own palates, and by helping them develop a healthy relationship to food and ingredients so that they feel empowered. Empowerment inspires curiosity and openness to new foods and different flavor profiles." Through her Little Sous Kickstarter campaign, which was successfully funded within a week, she offered incentives including a tasting event with Portland chef Gabe Rucker and a cooking class and visit to the rooftop garden of Chef Leather Storrs. She hopes to continue the conversation through more collaboration as well as public events, classes and after-school enrichment programs, as well as social media and website content from local and national chefs and foodies, most of whom are parents. Mostly, Montoya is excited to change the way people think about learning to cook. Rather than relying solely on recipes, her Little Sous method is rooted in technique, empowering the next generation with the knife skills, improvisational method and excitement for being in the kitchen that generations of young people learned by growing up next to their mothers and grandmothers. "We feel like food is the great connector," Montoya says. "Portland has helped to pioneer this movement around ingredients and food innovation for a while, (and now) the ideas have become mainstream. I feel like the next step is to focus on the next generation of cooks, and I believe the rest of the country is poised and ready to embrace it."